SRK IN TROUBLE - SAID TO BE THE REASON FOR THE DEATH BEHIND THIS PERSON! Bollywood Badshah Shah Rukh Khan traveled from Mumbai to Delhi in a local train during the promotions of Raees in January 2017. Fans went crazy, and there were a countless number of people following him. This excitement got converted into a stampede at Vadodara Railway Station, which unfortunately led to the death of a person named Farid Khan Pathan, as he got suffocated in the mob that gathered at the station. SRK expressed his sorrow and grief on this entire issue. The latest development is that Mr.Tarun Barot, Deputy Superintendent of Police (Western Railway), has submitted his report on this death issue. In the report, he has stated that Shah Rukh Khan is the reason behind the stampede, which led to the death of a person. It is believed that SRK might be charged with IPC section 304a2 and Railway Act, for creating a stampede and causing death at Railway station. Stay tuned and we will update you more on this issue. Selvaraghavan just now made a very important announcement about his next film! Why did Kamal Haasan appreciate the senior reporter? Big day for a Popular chennai multiplex! Exciting update from the Dhruva Natchathiram team! This is huge! Official cast list for Karthick Naren's next! It is official: Ajith’s Vivegam will have these many songs! 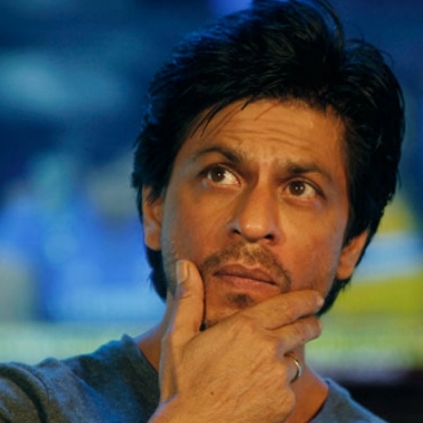 Fan – Shah Rukh's Gone Gray Again! People looking for online information on Raees, Shah Rukh Khan will find this news story useful.